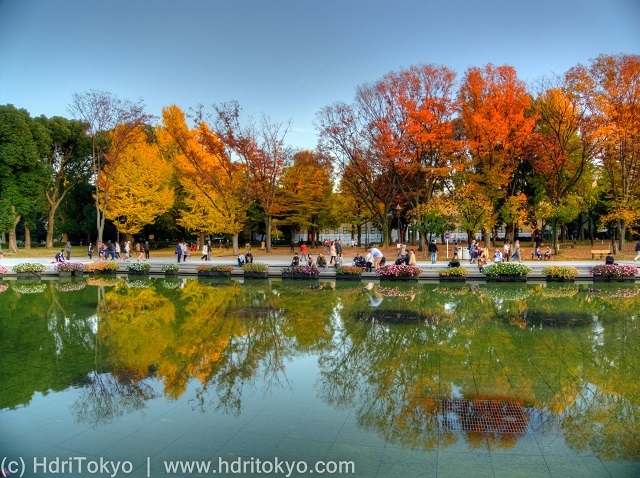 I took these photos by the great fountain of Ueno park. When I visited there, leaves of those ginkgo and Japanese zelkova trees had autumn colors. The fountain sprays artificial mist in the air from its edge, before it spouts water. 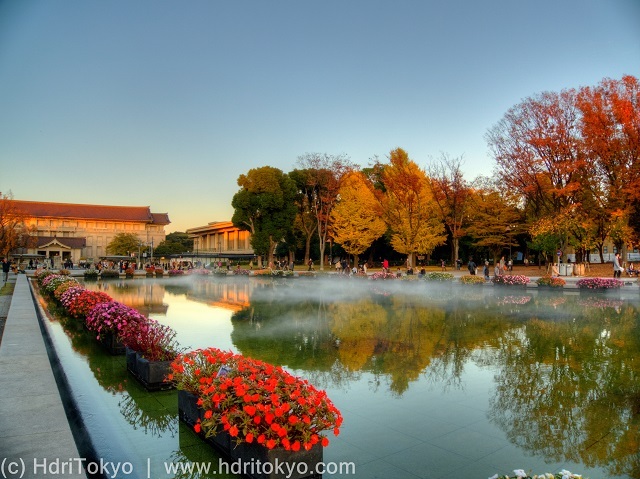 You can see Tokyo National Museum over the fountain. ｓhooting date : November 27 , 2014.